When I lived within walking distance of Space NK I used to pop in all the time and have a little spray of Philosykos and sniff all the candles. The staff probably thought I was a shoplifter with excellent taste. This heady fig scent grew on me gradually until I fell completely in love with it. I conducted a little test to see how the eau de toilette compared to the eau de parfum and there was no contest in terms of longevity. I baulked at the price of the parfum though, only available in the hefty 100 ml bottle. Luckily after my mother point-blank refused to spend that much on perfume, my lovely boyfriend bought it for me for Christmas instead. I'm a real sucker for beautiful packaging but I don't usually allow myself to hang on to empty cardboard and suchlike; that's how one ends up on Channel 4 programmes about hoarders. 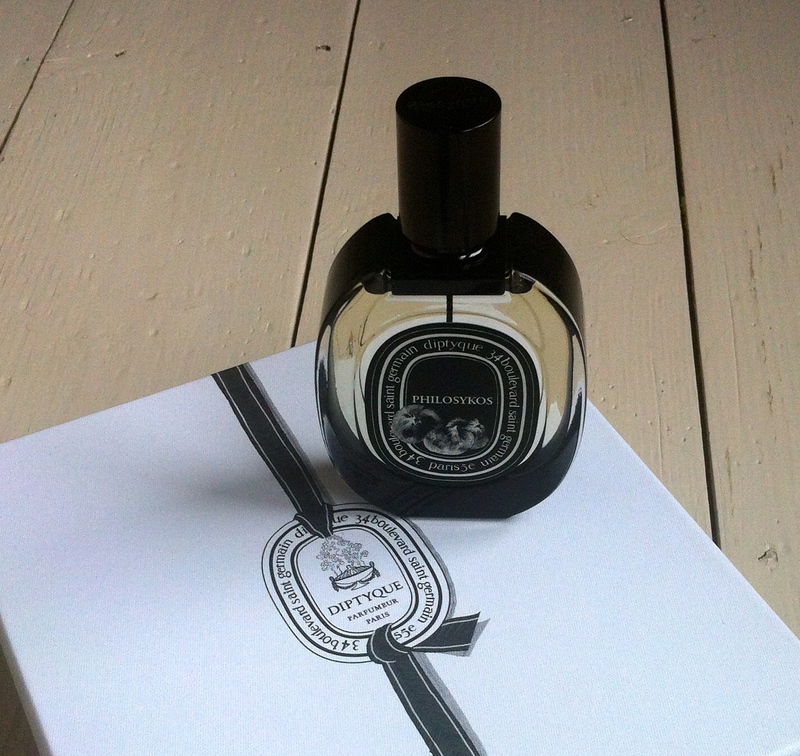 However, when it comes to Diptyque I cannot help but squirrel away the pretty boxes. If you buy one of their eye-wateringly expensive scented candles, the packaging retains the smell and does a pretty good job of adding perfume to a room by itself. 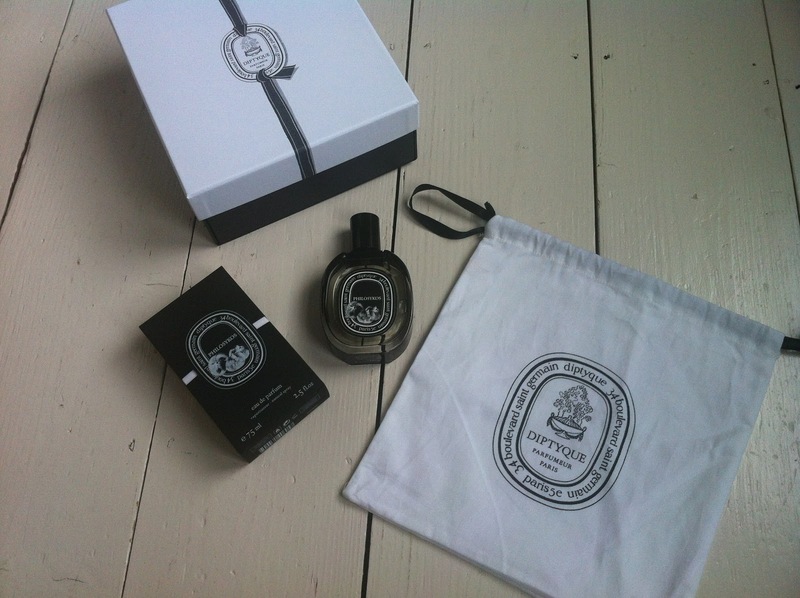 My perfume came with a lovely cotton pouch and gift box – both of which I will find a use for. If you love fig scents you have to try Philosykos. It's deep, fruity and addictive. I can't wait for summer when it will really sing. Hi! Can I ask why you (or your boyfriend) chose the eau de parfum instead of the cheaper eau de toilette, if they lasts the same amount of time? I just recently ran out of my Philosykos eau de toilette, and am thinking of replacing it with the eau de parfu - if it's longerlasting. Hi there, sorry I wasn't very clear - when I said there was 'no contest in terms of longevity' I meant that the eau de parfum lasted longer than the eau de toilette. That said, I only mean my ability to smell the perfume on myself. The eau de parfum is stronger and has more depth. I suggest you have a smell of it yourself before buying as there are subtle differences.